Food is medicine, but for many Indigenous communities most of the food available is closer to poison. 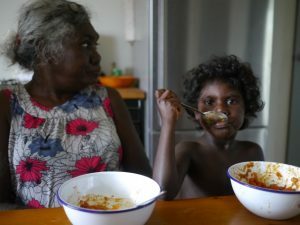 Australia’s first people are struggling under the heart-rending burden of chronic disease, and an important aspect to addressing this tragedy is to improve access to healthy food. 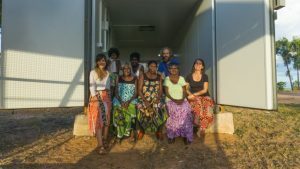 The Happy Herb Company recently teamed up with One Health and the Hope for Health team in Arnhem Land to contribute to the solution by providing a remodeled shipping container to the Elcho Island community that has been fitted out for cool storage of bulk whole foods. This increased access forms part of a broader strategy being implemented by Indigenous-lead project Hope for Health, that incorporates experiential health education, health-coaching and empowering traditional culture. A healthy eating program is of little use without healthy foods to eat. 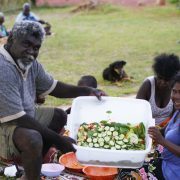 The Happy Herb Company’s recent purchase will have a significant impact on the community of Elcho Island as it allows people to have access to healthy food, and experience the benefits of a healthy lifestyle. On a remote tropical island, the necessity of a secure, cool, vermin-proof area to store bulk foods such as whole grains, spices and good oils cannot be understated. This ensures there is less reliance on the pre-packaged, processed options, currently available at the local store. In addition, the container may also be converted into a healthy canteen/café and offer cooking classes at some stage. Thus providing fresh, healthier food options and education for people that will go a long way to improving their health and nutrition. This is a great investment into the health of our First Peoples. Healthy food, healthier people!